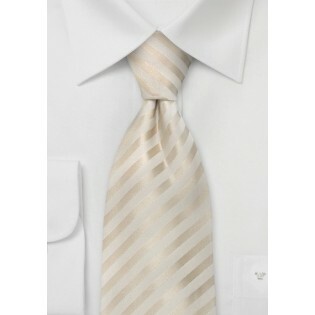 This ivory silk tie by Parsley Luxury Neckwear is one of our most popular wedding ties. 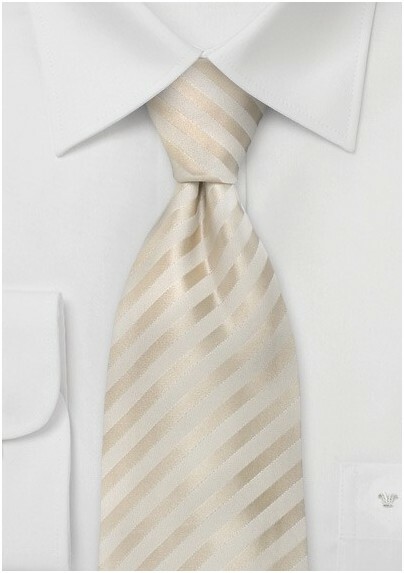 The elegant ivory color and subtle striped pattern will make a perfect formal accessory for the big day. This tie is handmade from 100% silk and gives of a brilliant elegant shine. To match this tie we suggest the formal black suit. Although we prefer the black suit, this tie can also be paired with suits in tan, navy, and any shade of gray. Handmade from pure silk.